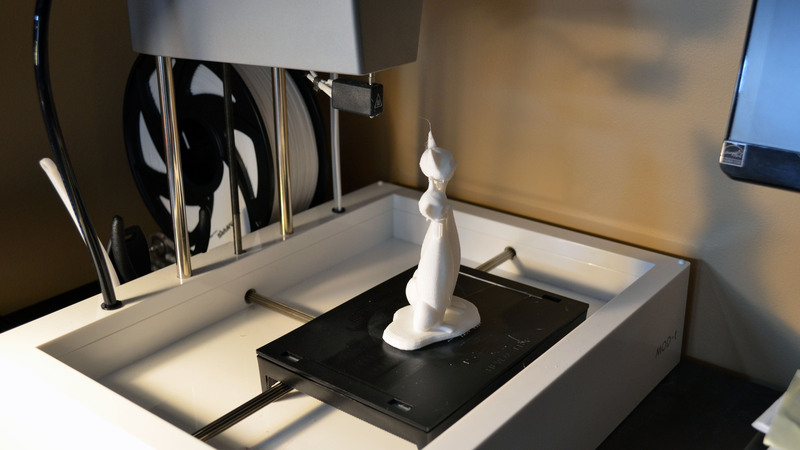 As 3D printer owners soon come to know, there are a ton of filament options out there. 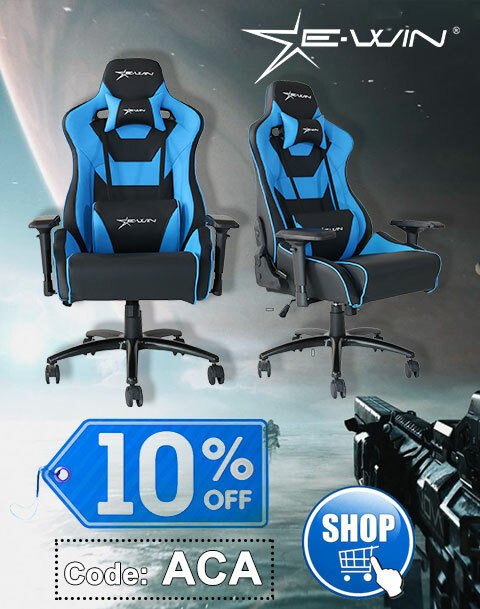 Some are expensive and exotic, some are inexpensive and basic. Others are just cheap in every sense of the word. So how does the 1.75mm PLA filament from 3D MARS stack up? First off, it’s packaged properly. It’s in an overwrapped cardboard box, then the filament itself is shrinkwrapped with a silica gel (desiccant) packet. 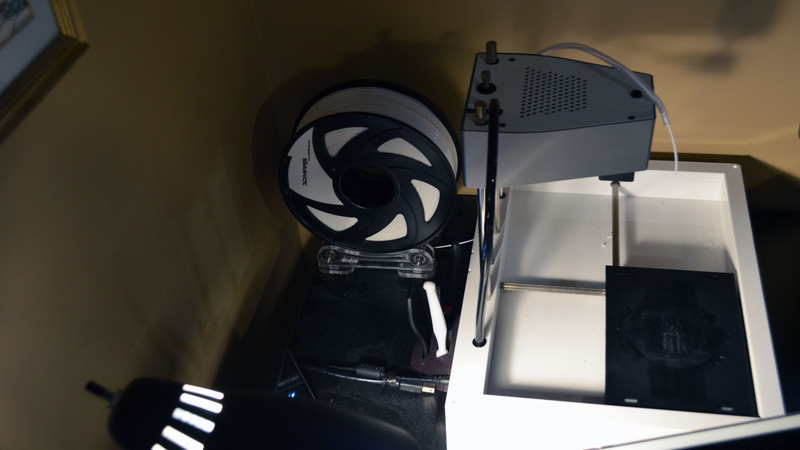 As for the filament, I’m reviewing the white, and I can say it’s really white, with low reflectivity. Using my digital electronic calipers, I can confirm that my roll had consistent dimensional accuracy. 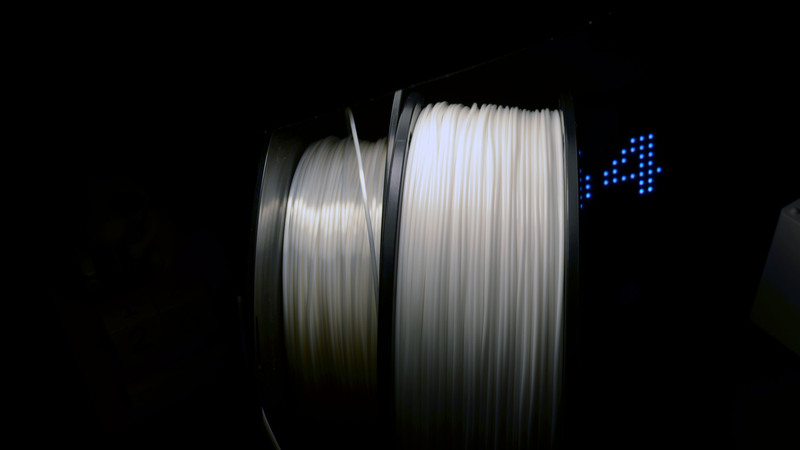 My usual white spool, on the left, is more reflective and not quite as bright white as the 3D MARS filament. Loaded using my external spool holder. 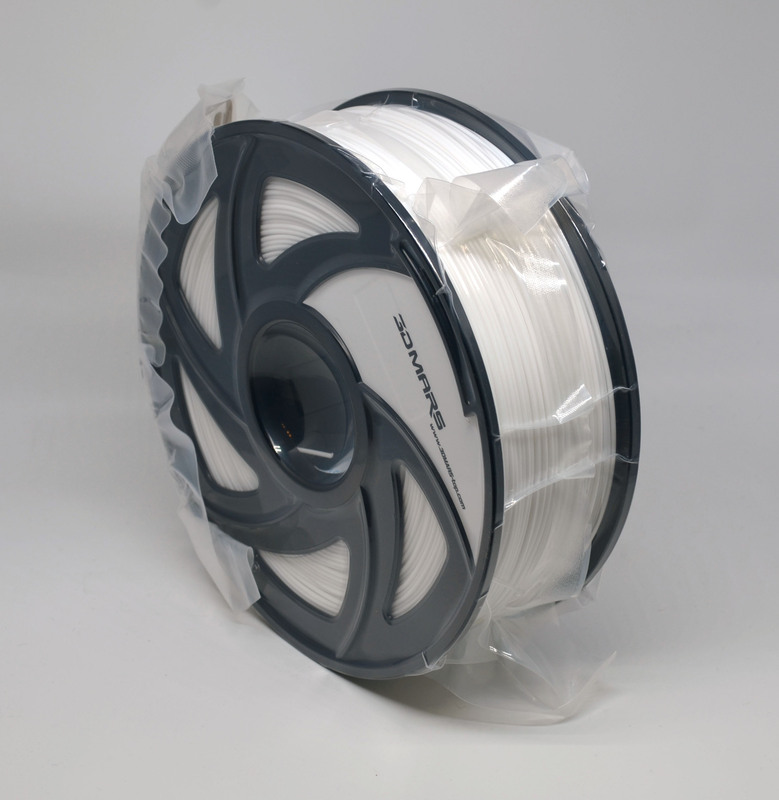 This is a large 1.2kg spool, which is much heavier and larger than the usual .5kg spools. Fortunately, using my Creker 3D Printer Filament Spool Holder with Bearing, even my modest New Matter MOD-t 3D printer can accommodate it without issue. 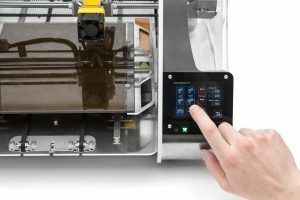 Since this PLA works with an extrusion temperature of 195°C – 220°C (383°F – 428°F), as long as it can handle a larger spool size, I can’t imagine any printer not being able to work with this material. The first print at the larger size had some slippage starting at the necks. The second print at a smaller size came out much better. As you can see from the images, output quality is excellent, despite my printer “slipping” from the neck up on the first cat model (unfortunately, it does that once in a while; I have two other printers on the way; Anyway, I then printed the cat models at a smaller size, which you can see resulted in no slippage) and there being a slightly stronger odor than I’m used to with PLA. 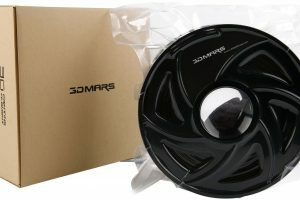 Nevertheless, considering the price is less than most spools of filament half its size, it’s easy to recommend the 3D MARS filament. 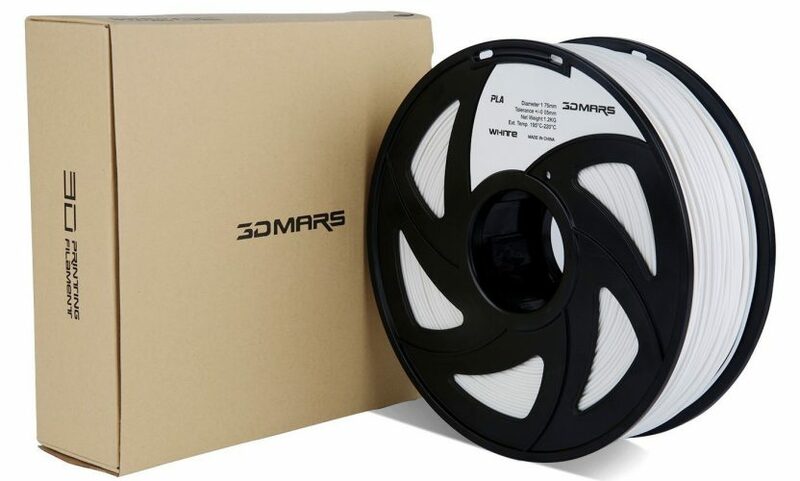 If you can work with large spools of filament, the 3D MARS 3D Printing Filament (PLA) is a high quality, value-priced choice. 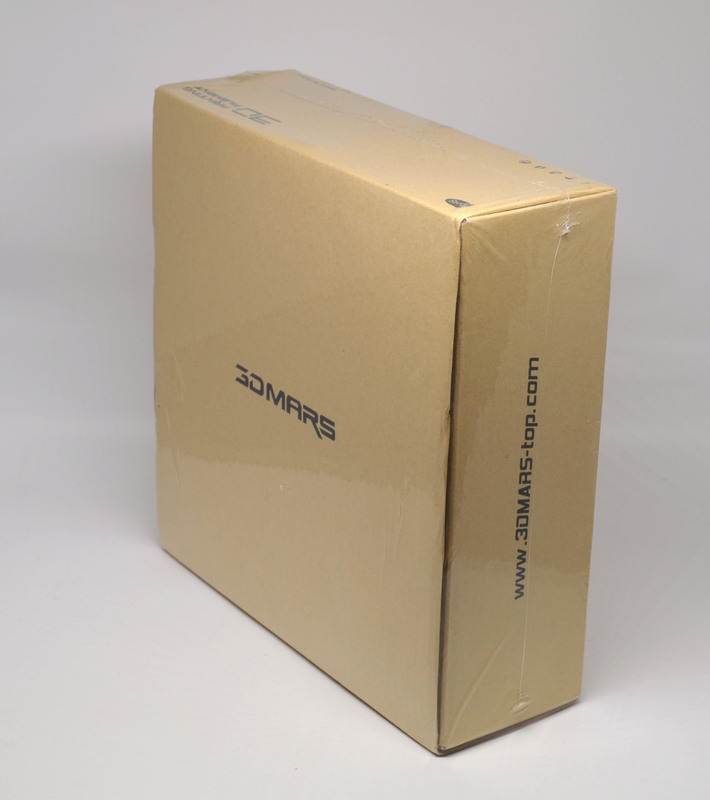 Thanks to 3D MARS for the review unit.